We supply conservatories across Dorset, Hampshire, Wiltshire, Somerset, West Sussex, Surrey, West Berkshire and surrounding areas. Conservatories and orangeries have proven themselves to be a fantastic way for homeowners to extend their living space without having to invest in a costly move or house extension. Modern advancements enable our conservatories and orangeries to be useable throughout the year. Adding a conservatory to the home is an ideal way of creating a practical and elegant space for all types of uses. 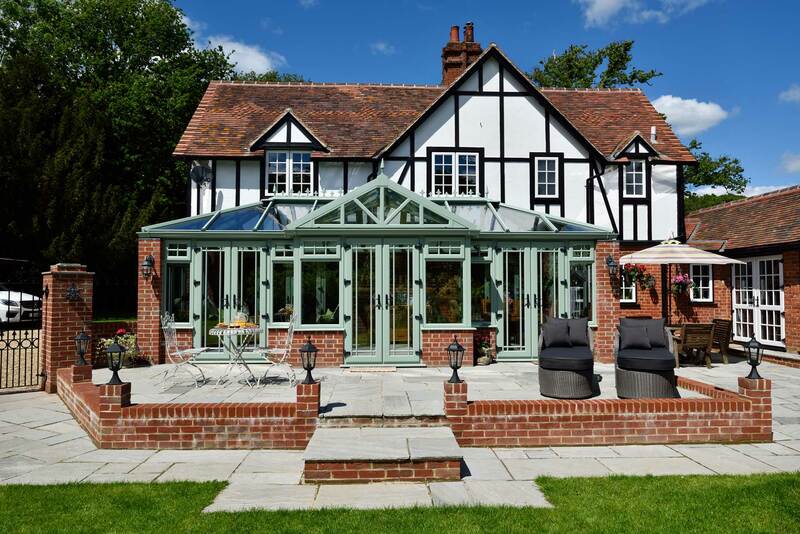 With numerous styles and finishes, you’ll be able to offer a wide range of conservatories and orangeries to help your customers achieve a traditional look or let their imagination take flight and choose a bespoke design for that instant wow factor. We offer a wide choice of beautiful conservatory styles. 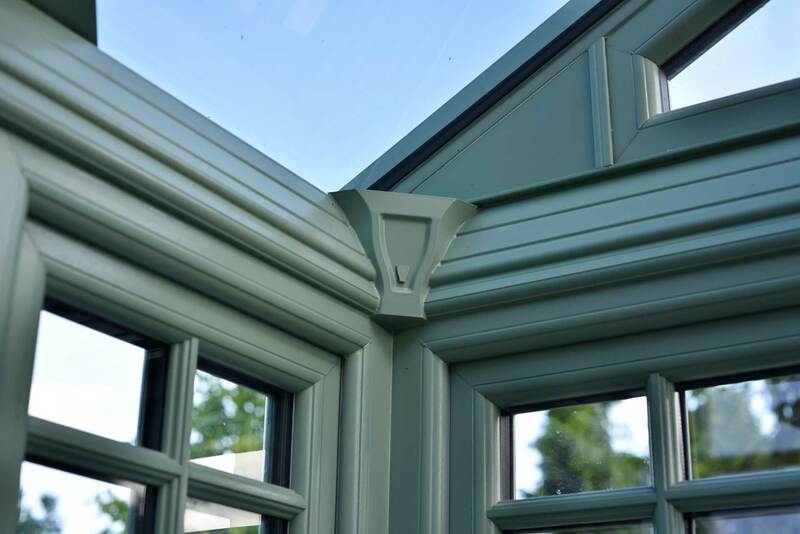 Our traditional styles include the Lean-to, Victorian, Edwardian, Gable and P-Shaped options. Alongside this, we also offer a bespoke manufacturing service to ensure you get the right conservatory for your project needs. Additional design options include a standard box gutter for hip back roofs and a build up box gutter for lean-to roofs that have a height restriction, especially on bungalows and porches. Roof vents can be fitted to allow additional ventilation which can be manually operated or electric or rain sensor operated. Cheese wedges and apex frames are also available, made to measure, to complete your conservatory. Using our full service takes the hassle out of buying from several suppliers. We ensure that when ordering your conservatory or orangery the roof and frames fit together to your sizes and specifications, so you won’t have to worry about mismatches. Choose from an extensive range of wood grain foils to enhance the look of any type of property. Our fast track colours include Rosewood, Golden Oak, Anthracite Grey, Black, Cream and many others. Alternatively, incorporate the woodgrain foils on the outside with the standard white on the inside. The Heritage woodgrain range and special order colour options give a multitude of choices to suit your customer’s taste. We can also supply matching ancillaries trims. The roof will also be colour matched to the frames. Many glazing options are available for the roof, windows, and doors. Choose from a selection of polycarbonate colours in clear, opal, bronze, or heatguard or self-cleaning glass in neutral, clear, or blue. Anti-sun glass colours include bronze, green, blue, and grey. An extensive range of accessories is available to complete your conservatory and orangery installation requirements. These include 95mm, 150mm and 180mm cills, 15mm, 25mm, 40mm, and 70mm frame extensions. With a 2mm joiner or 15mm steel reinforced joiner, along with a 90° corner post, 135° fixed bay pole and variable angle bay assembly, joining frames together couldn’t be easier. A conservatory or orangery is a delightful way of bringing the outside in. When the weather outside is good or bad, relax in the special space only a conservatory or orangery can provide. 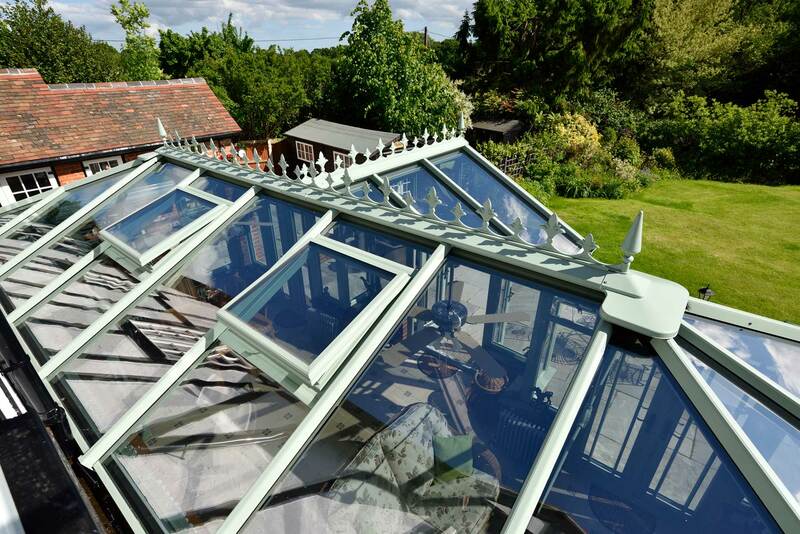 Due to their bespoke nature, our conservatories and orangeries can be used for a wide range of purposes. This means that your customers will be able to use their conservatory in many different ways, including as an office, gym, living room, dining room, playroom, games room, or more. With this in mind, our conservatories are sure to be a worthwhile investment for any product portfolio. We have accrued a wealth of experience manufacturing conservatories and orangeries over the years, which means that you can rest assured that your conservatory will always be supplied to the highest standards. We always strive to offer you exceptional professionalism, reliability, efficiency and promptness to get the conservatory supplied sooner without lowering quality. View our range of stunning uPVC conservatory colour options, all designed around offering your customers a flawless finish.